It’s snowboarding season yet again and I wanted to continue my Canadian snowboarding series with another set of amazing resorts in Alberta and British Columbia that you need to visit this season. If you are based in Calgary, all these resorts are within a days drive, or a great spot for an overnight trip. Here are some great spots to find powder this year. Fernie is widely regarded as one of the top ski resorts in North America, for good reason. It’s a massive resort with over 1000 hectares of terrain. It’s a mammoth resort features 5 huge powder bowls, 7 chair lifts, a variety of terrain, and lots of indoor amenities, so there is something for everyone. The resort also has ski-in-ski-out accommodation, several bars/restaurants and a ski school. The town of Fernie is a short way away and also has a great atmosphere and lots of fun activities, making this a great place to spend a winter weekend. 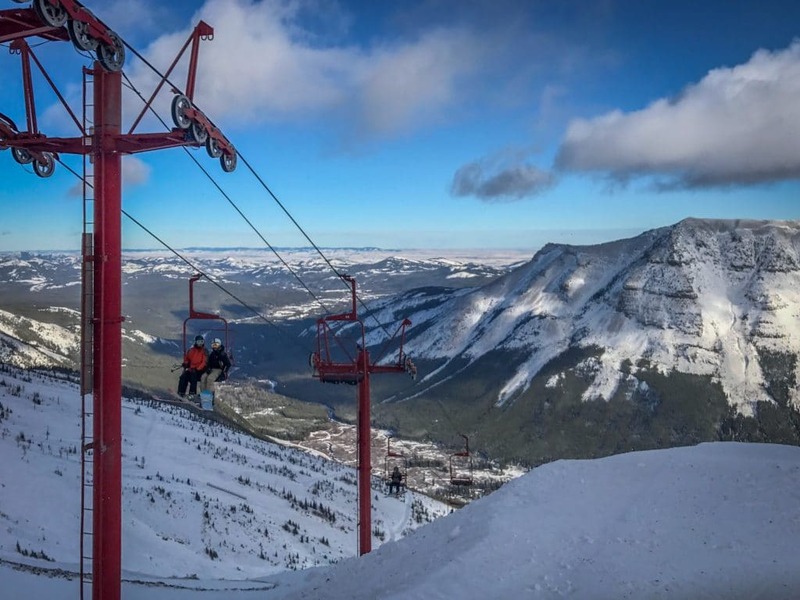 Castle Mountain is a hidden gem in southern Alberta, located off #3 highway, and is a great place to hit a pow day. With over 900cm of snow per year, this is a smaller, local haunt, with only a couple of lifts, not a lot of people and a ton of big powder. Watch the snow reports and every year Castle gets at least a few EPIC dumps of snow, which make the wide open snowfields, chutes and groomed trees a perfect place for smooth lines. The hill is great for snowboarders and more intermediate skiers, as well the resort also offers Alberta’s only resort-based Cat Skiing for more experienced folks. 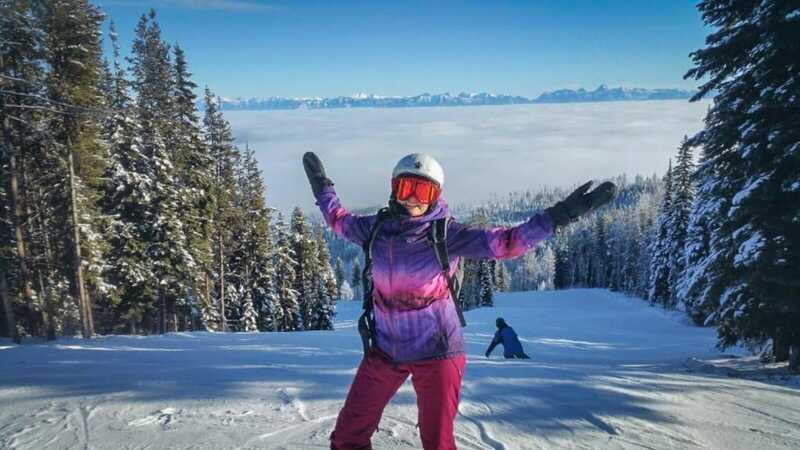 Kimberley is one of my personal favourite ski resorts and a perfect place to spend a ski weekend. It’s smaller than some of the other resorts, but it’s well maintained and has super fun terrain. The gentle rolling blue runs throughout the hill make it an especially great place to learn snowboarding, and it’s the very first place I strapped on a snowboard (many) years ago. It has great runs for more advanced riders as well, especially the Black Forest glades, which is an amazing treed area on the back side of the resort. The legendary Purcell powder, sunshine and laid-back atmosphere make this a great place for a relaxing ski weekend away from the crowds at the bigger resorts. The hill also affects night skiing, which is a really fun experience that everyone should try at least once! The town of Kimberley is really cute, with a distinct Bavarian feel. The quaint town center is called the Platzl, which is full of great pubs, restaurants and shops. There is also a wonderful nature park where you can snowshoe and cross-country ski. 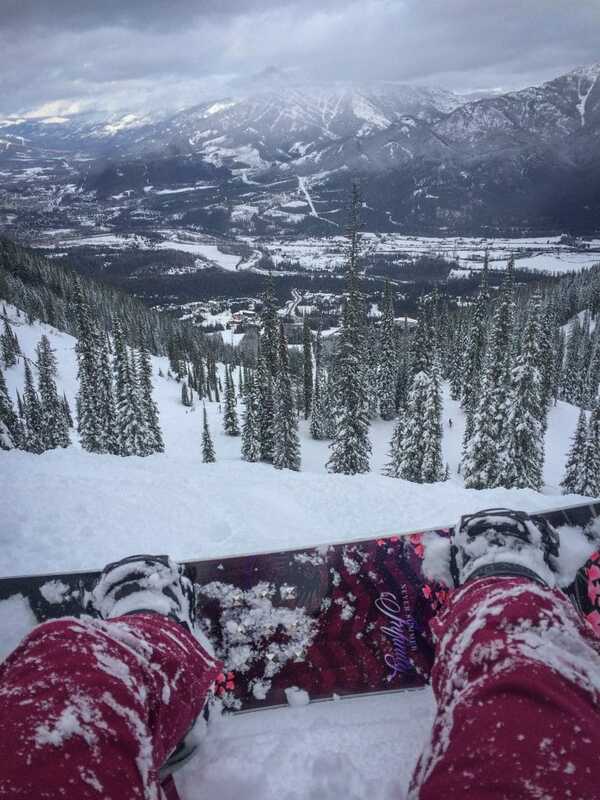 Up the highway from Kimberley is another Kootenay Alpine gem – Panorama Mountain Resort. It’s a much taller resort than Kimberley, known to be one of North Americas biggest vertices, but with similarly varied terrain. 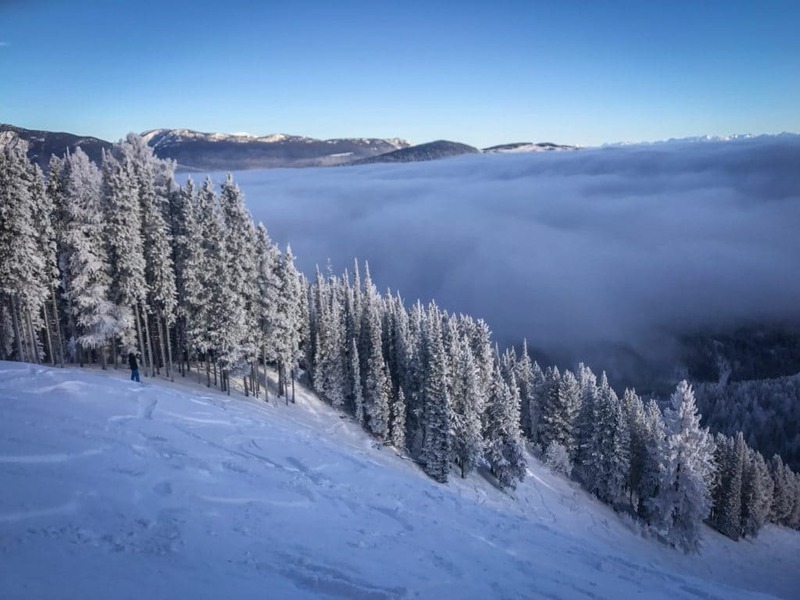 Known for one of North America’s biggest verticals, the resort also has long cruisers and uncrowded slopes; the resort features skiing, snowboarding, Nordic skiing, Snow School programs, heli-skiing, snowmobiling and snowshoeing. Grab an on-mountain ski-in-ski-out lodge for a night and enjoy even more – outdoor slopeside pools, saunas, spa, a variety of restaurants and bars. Perfect place to spend a weekend. The Rockies is full of fantastic snowboarding spots. 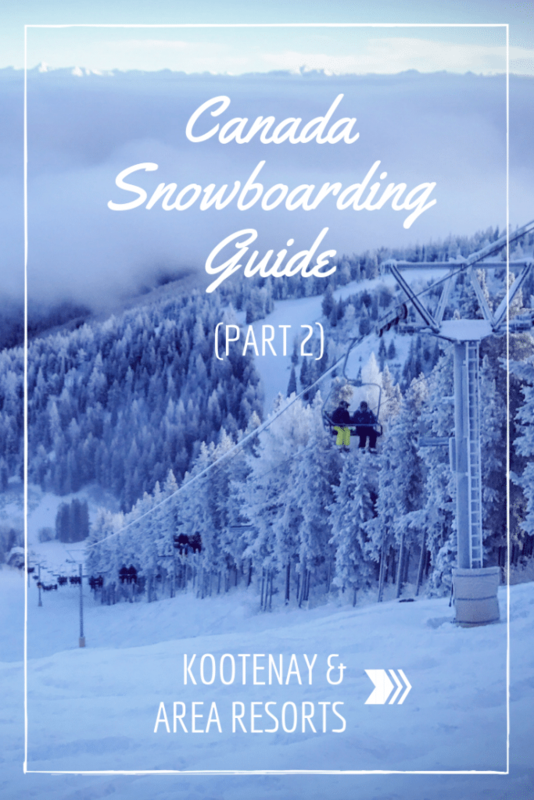 Make sure to see our other post: Canadian Rockies Snowboarding Guide pt 1 for other spots in Alberta and British Columbia.